DAVID LE/Staff photo. 3/14/15. 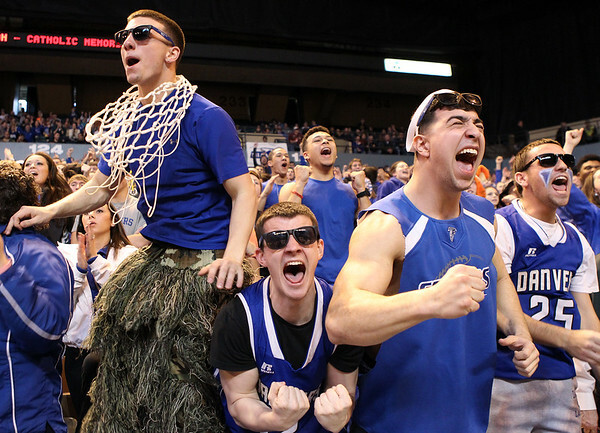 From left, Danvers senior Robert DiStefano, junior Patrick Cunningham, junior Marco LaGambina, and senior Trevor Chasse scream in excitement after the Falcons went up by three with a couple made free throws in the final minute of play.